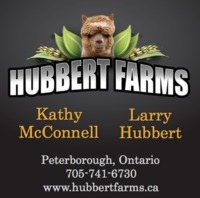 Hubbert Farms is located in Peterborough, Ontario, Canada in the beautiful Kawartha Lakes Region, about one hour northeast of the Greater Toronto Area. 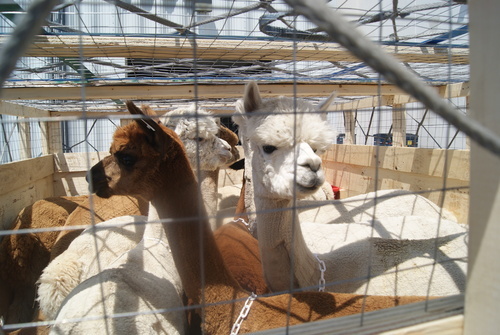 Established in 2002, the farming team of Larry Hubbert and Kathy McConnell quickly found their niche raising the animals they love - Alpaca's. Through strategic breeding and heard management programs, Hubbert Farms has set a new standard for quality fleece and award-winning alpacas. 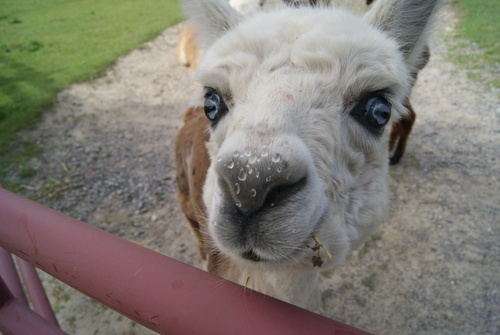 Kathy and Larry's passion for Alpaca farming is evident in their commitment to their family of animals. "We would never sell an animal to a farmer who does not meet our rigorous standards of quality, integrity and passion", states Kathy. "We maintain an on-going relationship with everyone we come into contact with the industry", she adds. 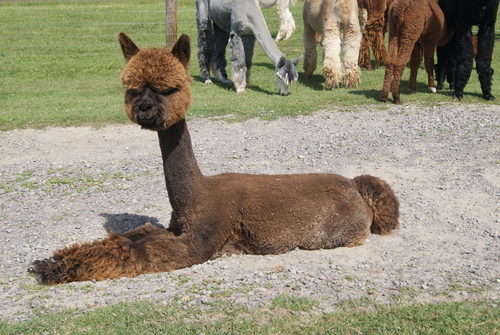 Hubbert Farms is a "Highly recommended resource for alpaca information and much more! Kathy McConnell has been our mentor when it comes to raising alpacas and knows everything there is to know on the subject. Her partner, Larry Hubbert did the excavating and pad for our barns, and also built the custom gates that we have in our pasture. Larry and Kathy's son, Trevor built the custom pens we used inside our barn. Top quality work at a reasonable price, highly recommended." 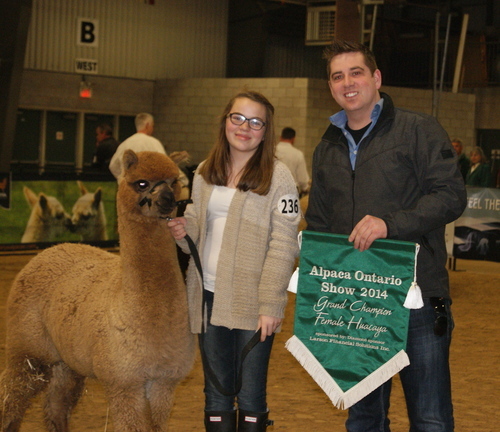 Over the years, Hubbert Farms began showing their alpacas in competitions, including the Eastern Canadian National Alpaca Select Sale & Futurity, Alpaca Ontario Show, Fair Alpaca Halter & Fleece Show and Alpaca Canada Futurity, winning numerous award in both the suri and huacaya breeds. Hubbert Farms has focussed on improving the density, staple length and shear weights of alpaca fleece. In 2010, they refined their focus to include animals that bring mature fineness to the table. After a year of searching, Hubbert Farms and Averegan Alpacas partnered to find the perfect addition - a Maple Brooks Barnabus male, Xanadu P, Resolute with merino style at 12-13 crimps per inch. The partners are sure this addition to their breeding program with take all their award winning girls to the next level. health and well-being of all our animals, with one on one attention and care that makes for a happy, calm and productive herd. Averegan Alpacas and Hubbert Farms have merged the end of this year and with lots of crias expected, we need to clear some space in the barn! Take advantage of this deal and package animals together from both farms! Make this year about bettering your herd.